Many people who suffer from panic disorder or other anxiety disorders also suffer from migraines. 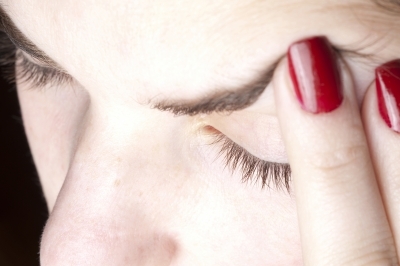 Migraines are headaches caused by dilation (expansion) of the blood vessels in the head. Stress is among the most common migraine triggers. Migraines activate the sympathetic nervous system, which controls the primitive fight-or-flight response (the response that is active during a panic attack). This is why there is an overlap between migraine symptoms and panic attack symptoms, and why treating migraines effectively may reduce or even eliminate panic symptoms for some people. Migraine headaches usually cause nausea or diarrhea and heightened sensitivity to light and sound. Migraine auras (which typically occur 10-30 minutes prior to migraine headaches) often trigger visual disturbances such as flashing lights or other abnormalities in the visual field. Migraines and their auras can produce many symptoms associated with panic, including dizziness, fear, nausea, a surreal feeling, and other disturbing experiences. It’s possible to have a migraine aura without developing the full headache, which means that you can have migraine aura symptoms such as dizziness or visual disturbances without head pain. These symptoms may cause panic in susceptible people. Additional symptoms that may precede a migraine headache or occur on their own as part of the migraine syndrome include depression, irritability, elation, anxiety, hyperactivity, tiredness, cold hands and feet, cravings for sweet or salty foods, and difficulty thinking or concentrating. Some people experience ear pain that mimics that of an ear infection, tightness or pressure in their heads that feels like sinus pain, or tight, painful neck muscles. Overall, attacks may last anywhere from a few hours to a few days. Migraines are very common, and experts believe that they are underdiagnosed. In other words, many people who suffer from a variety of unpleasant migraine symptoms may either be misdiagnosed with other problems or dismissed as hypochondriacs. Migraines can be triggered by anxiety and stress, and can also cause them. This suggests that panic disorder and other anxiety disorders may increase the likelihood of suffering migraines and vice versa. Other migraine triggers include insufficient sleep, hormonal fluctuations, bright or flickering lights, certain odours, and particular foods. The following are commonly prescribed migraine treatments and complementary therapies. Using pain killers regularly is bad idea for migraine sufferers because analgesics can trigger rebound headaches, so there is a high price to pay for the short-term relief they provide. There are better medications available that actually raise the migraine threshold so that you’ll be less likely to suffer a migraine in the first place. Migraine medications are designed either to prevent migraines or to stop them once they start. Consult a doctor to discuss options so that you can tailor pharmaceutical therapy to your particular migraine syndrome and other health issues. There are a number of foods and food additives that can trigger migraines. Many migraine sufferers achieve a reduction in headaches and related problems by not consuming (or significantly cutting back on) alcohol; caffeine; processed foods; sharp cheeses; and foods containing artificial ingredients, MSG, aspartame, sulphites, nitrates, and nitrites. Not all migraine sufferers react to these substances, but given that they are common triggers, it’s worth trying an elimination diet. Keeping a food diary to record reactions is helpful. In addition to eliminating certain foods, consuming more fresh fruits and vegetables, lean unprocessed protein, and complex carbohydrates is beneficial. Regularly engaging in relaxation techniques such as progressive muscle relaxation, visualization, meditation, yoga, and/or calm breathing provides benefits for many people, given the strong links between stress, anxiety, and migraines. Acupuncture has also shown some promise as a migraine treatment for certain people, and there is evidence that it may help some anxiety sufferers as well. For more information on anxiety and panic, see the What Is Panic Disorder?, What Causes Panic Attacks?, Natural Anxiety Therapies and Remedies, and Conditions That Often Accompany Anxiety. For more information on anxiety-associated headaches and their treatment, see the list of references and resources below. Anxiety and Depression Association of America. (2012). “Headaches.” ADAA.org. Buchholz, D., MD. (2002). Heal Your Headache. Workman Publishing Company. Conrad Stöppler, M., MD (Author), Marks, J.W., MD (Editor). (n.d.). “Migraine Headache.” Medicinenet.com. Fasmer, B., MD, & Oedegaard, J.K., MD. (2002, August 1). “Are Migraines and Bipolar Disorder Related?” Psychiatric Times, 19(8).